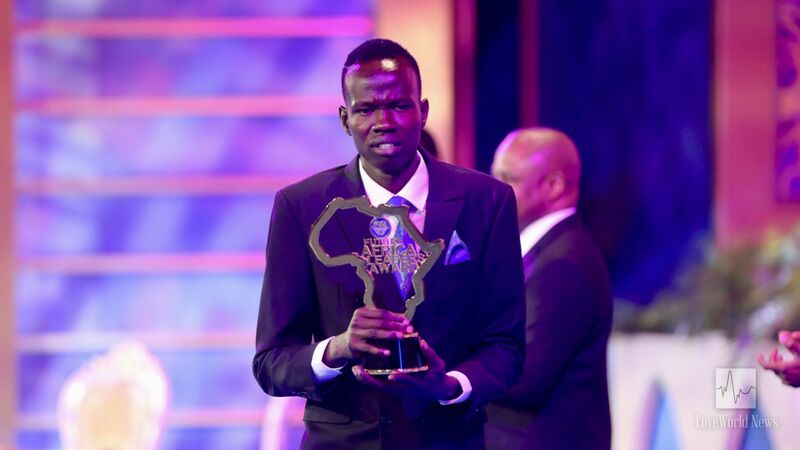 Pastor Chris recognizes social and economic impact of young South Sudanese leader, Isaiah Deng. Out of 30 nominees for the Future Africa Leaders’ Award 2018, ten young people from different African nations were honored and encouraged to do more as winners of the prestigious recognition, announced moments ago. FALA Star Prize Winner, Isaiah Deng, receives his award. 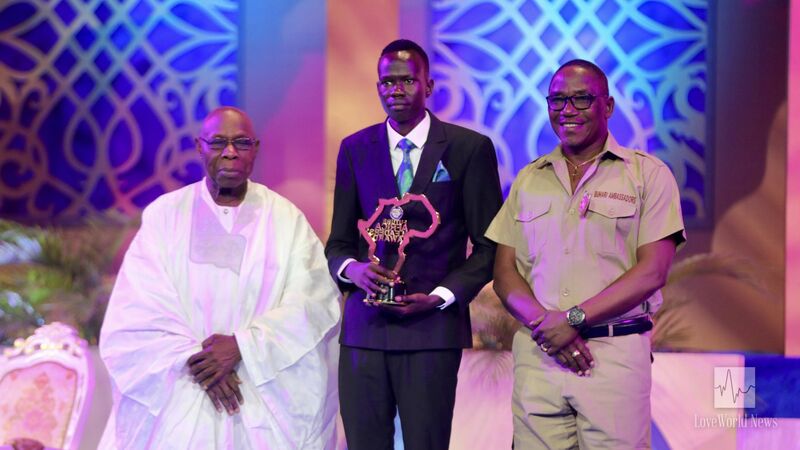 From the elite crop of FALA Winners 2018, one Star Prize Winner stood out in the person of 20-year-old Isaiah Deng from South Sudan. Notable among the conferences Isaiah hosted in his nation this year was a Youth Conference held in commemoration of the International Youth Day. His programs have inspired over 3,000 students and teachers from 20 schools to nation-building. Former President of Nigeria, His Excellency President Olusegun Obasanjo, and Nigeria’s Minister for Youth and Sports with the Star Prize Winner. Young Isaiah trained 20 Sudanese youth on computer optimization at Texas School of Computing and Mimshack Designs in South Sudan for a period of one month and an additional 20 on Solar and Electrical Installation in partnership with State Ministry of Education and Green Power Electric. These training were aimed at creating employment opportunities for young people and equipping them for these opportunities. These and several other accomplishments characterize the citation of the Star Prize Winner, earning him the recognition of the LoveWorld President, along with a cash prize of $25,000. Congratulations to Isaiah Deng! thank sir for the good work i love your service because you really teach people of global.